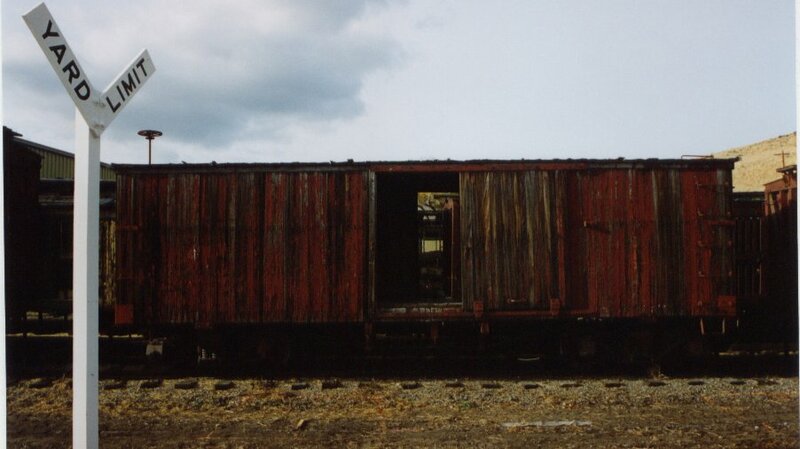 Southern Pacific boxcar No. 4 was built about 1890, probably by the Carter Brothers Car Company, for the South Pacific Coast as No. 114. Sold to the Nevada & California, a Southern Pacific Subsidy, about 1906, it became N&C, later Central Pacific No. 392. In 1946, it was renumbered SP No. 4, and served until the end of the line. It was acquired by Bill Harrah, and later donated to the Railroad Museum.